This isn't something that's easy and I've still not found life balance. Although there's sometimes certain practices that can be incorporated daily to help our mind and soon to be balance. 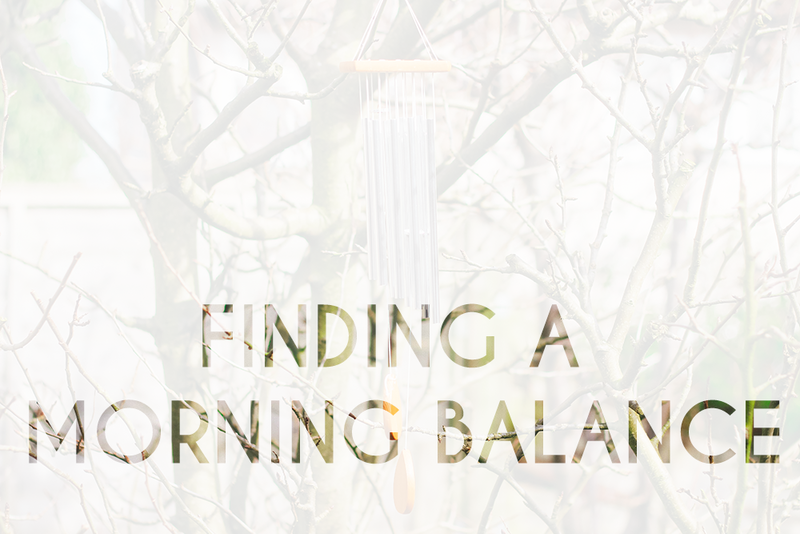 In this post I'm going to discuss a morning routine which I believe helps find a daily balance..
Can we really focus with little sleep? Some people can but for myself I find that if I get at least 8 hours sleep I feel more alert for the day ahead. My sleep pattern allows me to go to bed around the same time, it's a struggle to stay up beyond 11pm unless I've probably had a long nap during the day but I then get up around the same time without an alarm which I find more beneficial as I'm awake because my body is ready to wake not because I'm being forced to wake. To get a good nights sleep, it's finding the right temperature in the room, no distractions or lights. Saying that, sometimes I fall asleep to sounds and wake up to silence. •Avoid Looking At Your Phone. Guilty. I do it all the time, I've now moved my defunct alarm clock nearer to my bed so if I need to know the time, that's what I see first thing. Instead of reaching for my phone or tablet to check what I've missed online socially. We already know we have a list of things to do today but do we need to be put into that mind frame first thing in the morning? It can put some of us on a downer, shifting through emails and added to the list. Our mind as soon as we wake up, is probably the clearest it will be throughout the entire day. Once we've got up, we do our regular morning routine, whatever yours is once you've got up, mines things like going to pee, brush my teeth, wash my face lol, you get the idea, those 10 minutes in the bathroom, give me 10 minutes where I can just focus on the moment, nothing further. This is what I have first thing in the morning, a cup of warm water with either a slice of lemon or squeezed lemon juice. I notice I don't feel or look as bloated when this is within my regular morning routine this drink cleanses the digestive system and gets your metabolism started. They say 5 minutes is better than nothing. Find a quiet spot, sit or lay in a comfortable position. Uncross your arms and legs, rest your hands on the top of your legs or at the side of you. Close your eyes or just focus straight ahead of you. Inhale and exhale and listen to your body. Detach your mind from thinking about anything that's causing you stress, heartache and just focus on breathing. Continue this until you've done 10 rounds of that. If your mind wonders and believe me it will or you lose count, patiently stop and restart. Yes! The most important meal of the day. You don't want to be the 'I'm sorry for what I said when I was hungry' monster. As you've slept the body has started to re-energise and use up most the fuel from the previous day so you need to feed back into your body and keep it fuelled with a nutrient breakfast, a lot of people love porridge with fruits or granola. It's very easy to worry about the future but focusing on the one day ahead will be less overwhelming. Cultivate a to-do list, not a massive one just ones that you can get done on the day. Add things such as read emails & respond, allocate a blogging slot, it could help to do this the night before so it gives you more time the next day. Always add on this to do list give time for yourself, such as a relaxing bath, bed time yoga so forth. Not everyone wants to live by a list, I know, but I find a routine in the morning can help a gradual balance. We sent all necessary information about Beets Blu heart rate monitor and key finder to your e-mail. Please check it and reply.